A landing page is meant to get your visitors to take action. Whether you want them to sign up for your newsletter, book a discovery call or check out your latest blog posts, the goal is to get them to the most important page on your site that aligns with your business goals. WordPress has numerous free landing page themes that are suitable for all kinds of industries. In this post, we’ve rounded up the best landing page WordPress themes that will help you convert visitors into subscribers and clients. 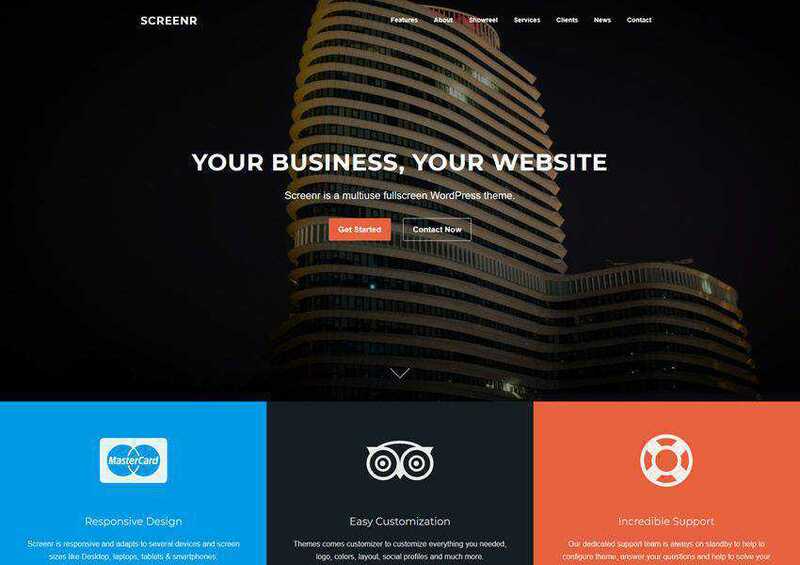 If you’re looking for free WordPress themes for businesses take a look at this collection. The Zakra theme is a flexible and lightweight WordPress theme with multiple demo options. The theme is fully responsive and offers several widgets for promoting your services, call to actions, and testimonials. Try the ShopIsle theme if you need a landing page theme for your online store. The theme makes it easy to display the most popular products in several categories. It was optimized to load fast and offers tons of customization options. 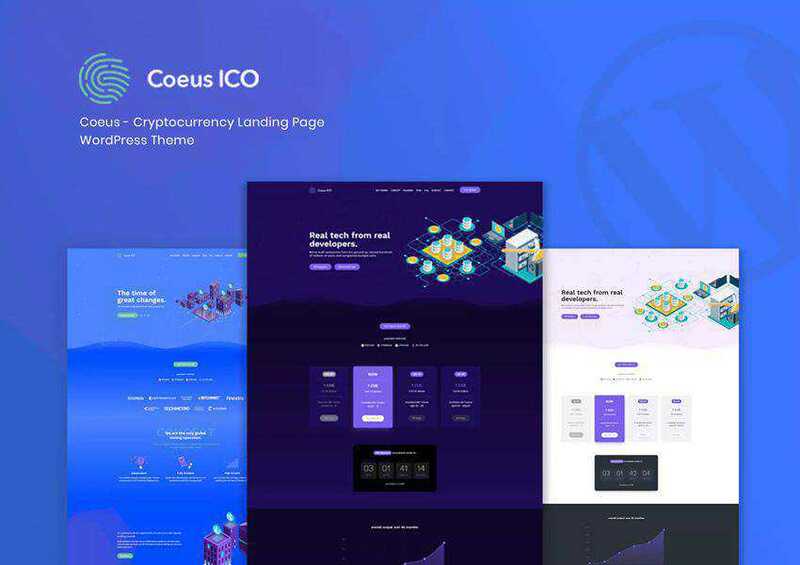 Consider the Coeus WordPress theme if you have an agency that deals with cryptocurrencies. This theme offers 6 unique designs, unlimited color styles, and an advanced theme options panel that makes it easy to make this theme truly your own. 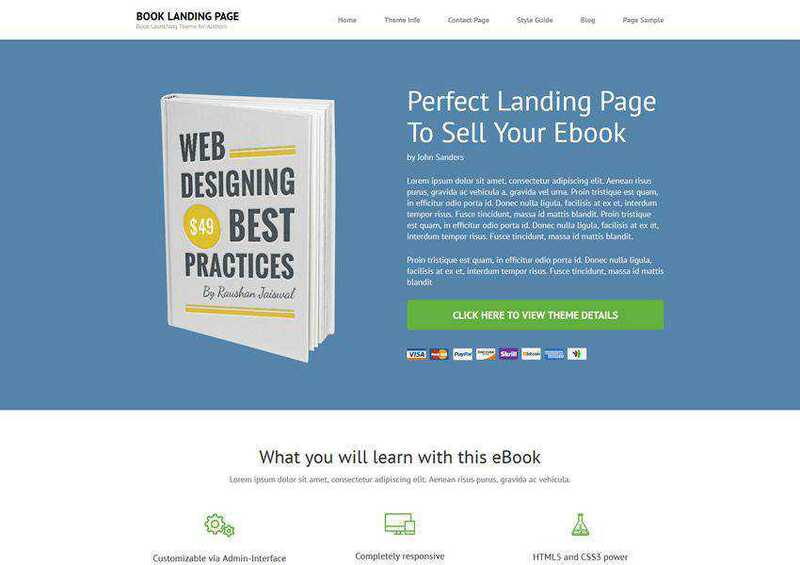 The Book Landing Page is a beautiful WordPress theme that’s perfect for creating a landing page for your book. The home page was designed to increase leads and purchase of the book. The theme is easy to use and customize. 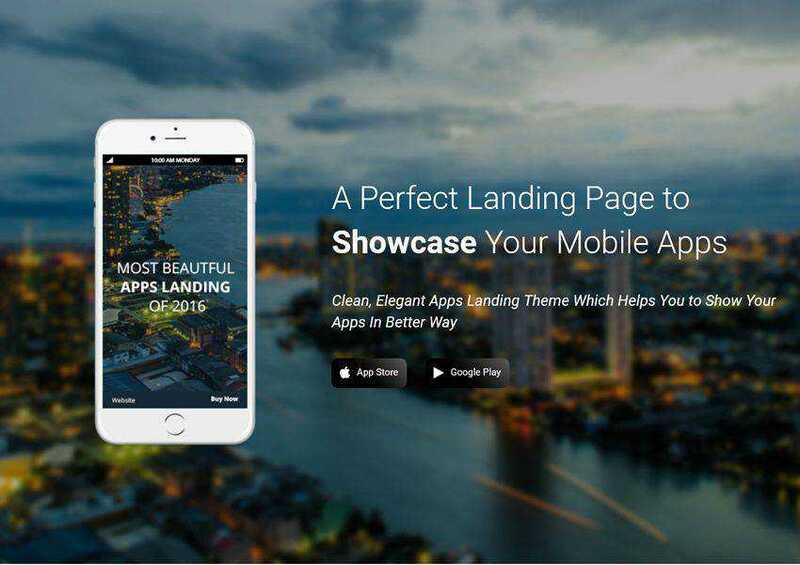 Use the SingleApp WordPress theme to quickly build a landing page for your app. 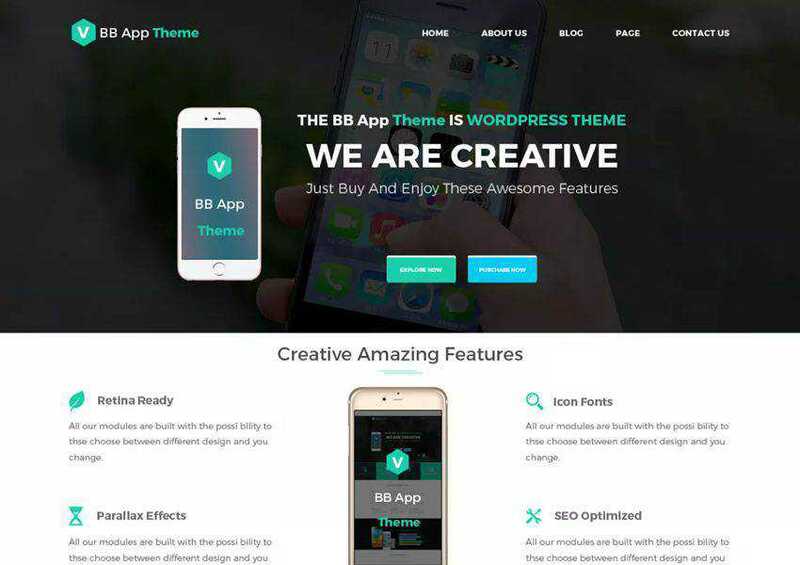 The theme has all the necessary features needed to increase the number of app downloads and sales and it also features an attractive and responsive design. 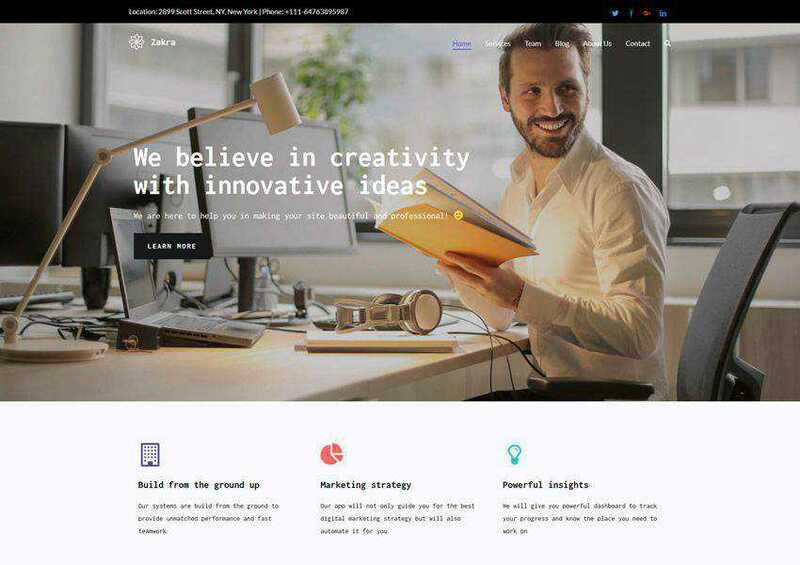 The OneEngine theme has a multipurpose design which means it’s suitable as a landing page for any industry. The theme makes it easy to showcase your services, build trust with testimonials, and add call to actions that let visitors get in touch with you. 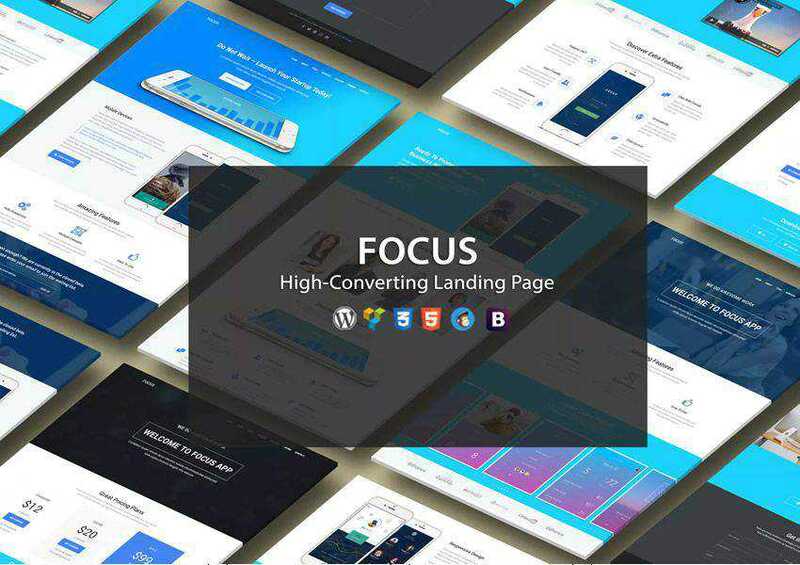 The Focus theme is yours when you sign up for Envato Elements monthly subscription. The theme was designed with conversions in mind and offers features such as responsive design, SEO optimization, an easy to use page builder, and much more. 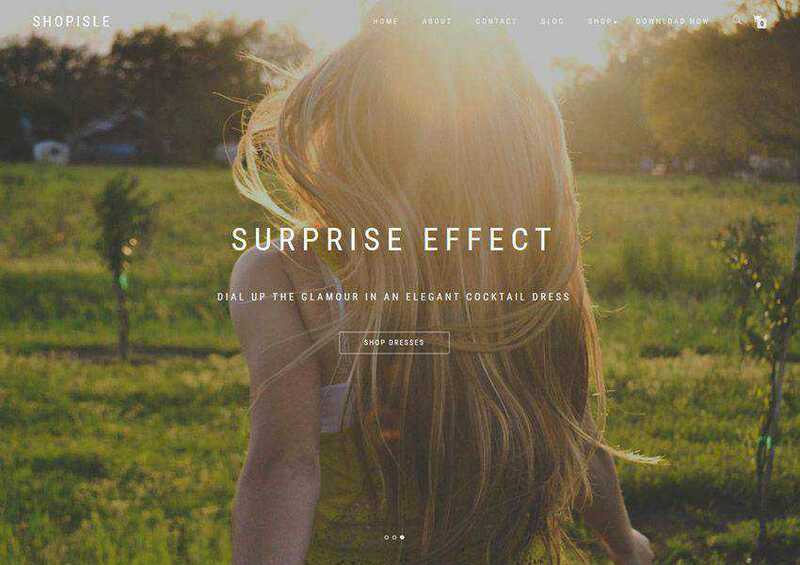 Clarina is a free and beautiful one page landing page WordPress theme, with a flat and clean design paired with an elegant parallax effect. The theme integrates with several popular plugins such as WooCommerce, SiteOrigin Page Builder, and more. This theme is another great choice when you’re trying to build hype around your latest app. The theme makes it easy to showcase app features and is fully responsive as well as customizable. 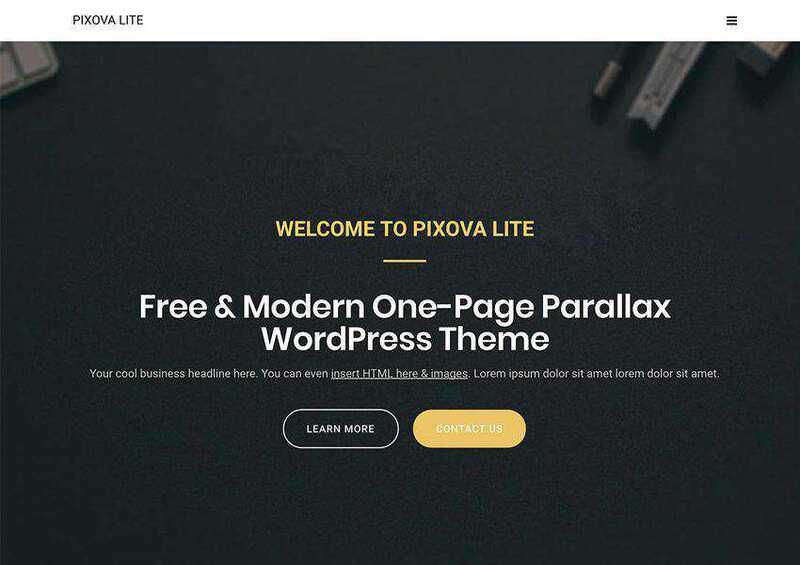 The Pixova Lite theme is a great choice for businesses, corporations, and agencies that want a high-converting design. The theme offers plenty of space to showcase your offerings and establish your authority through testimonials and client logos. 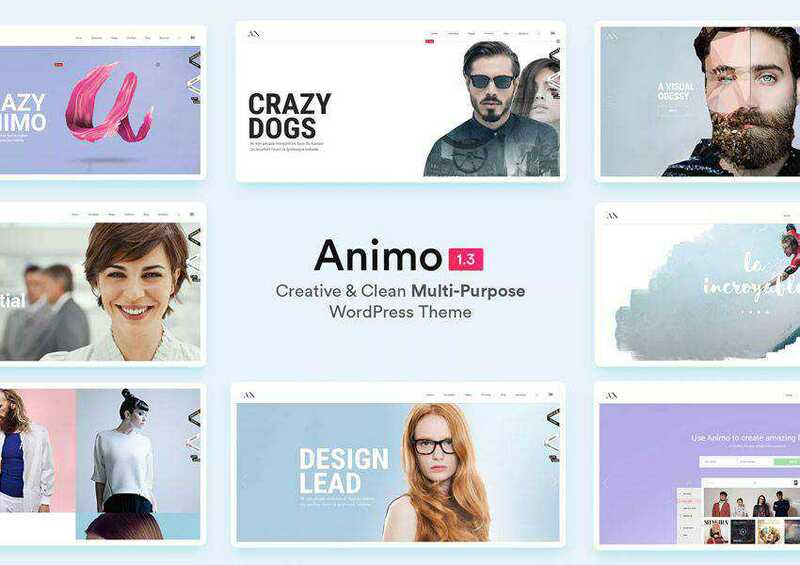 The Animo theme is best suited for creatives, designers, illustrators or photographers that want a theme that’s easy to use and offers full control over the design styles. The theme is also responsive and offers several demo versions. 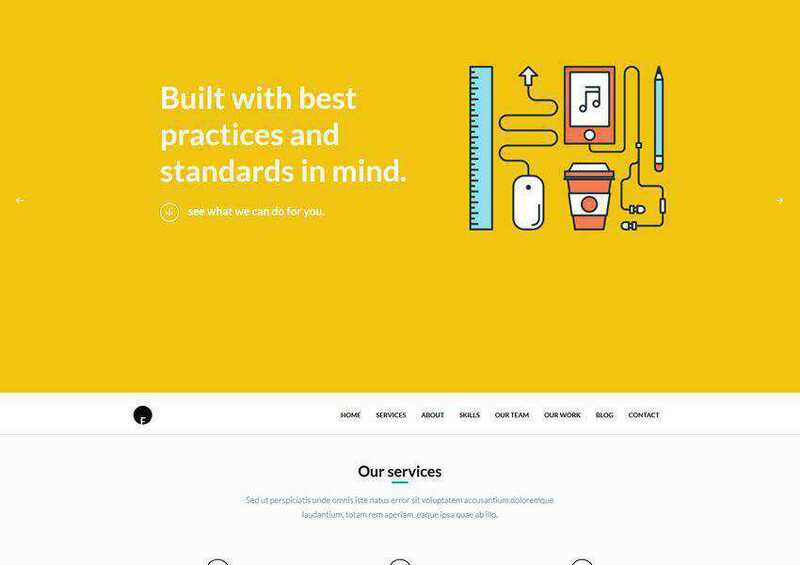 The Screenr is a perfect choice if you want a simple, one-page landing theme. The theme has a clean design with flexible header and navigation areas. It also offers custom widgets and advanced typography options. 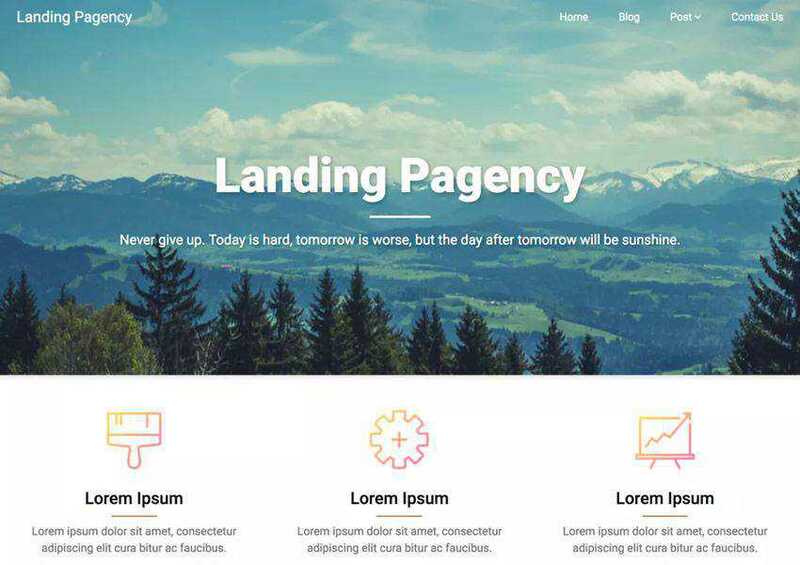 The Landing Pagency is a minimal one page theme designed with consulting businesses, corporate companies or startups in mind. The theme offers responsive design and SEO optimized features as well as custom widgets, headers, and more. 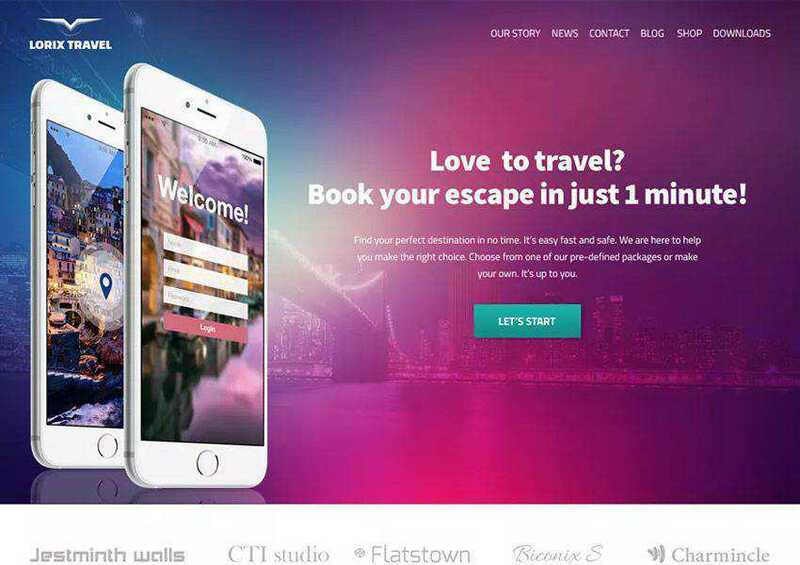 The Aprimo theme is a creative and modern theme suitable for app landing pages. The theme comes with 9 homepage variations, WooCommerce integration, and variable content sections that facilitate page customization. A well-designed landing page will do wonders for your business and help you turn casual visitors and readers into loyal customers and subscribers. 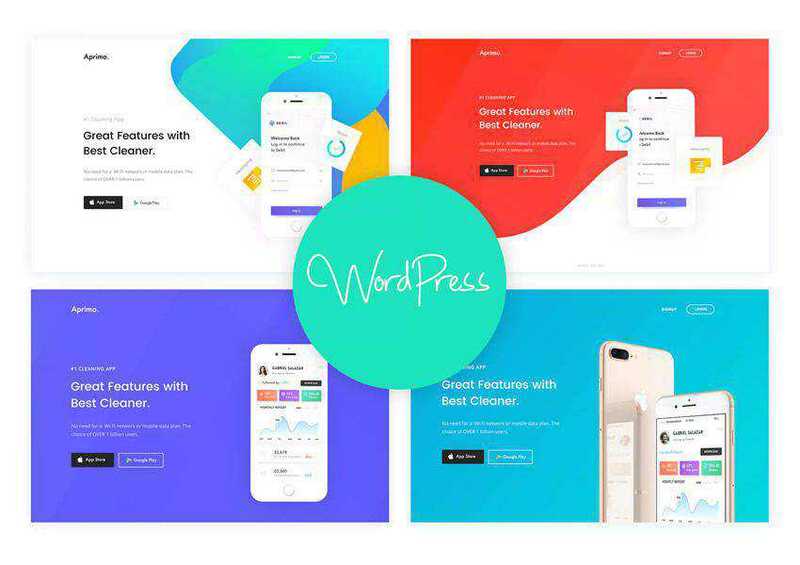 As you can see from the above, there is no shortage of beautiful landing page themes for WordPress. Browse through our selection to find the landing page theme for your site and get more leads and sales.